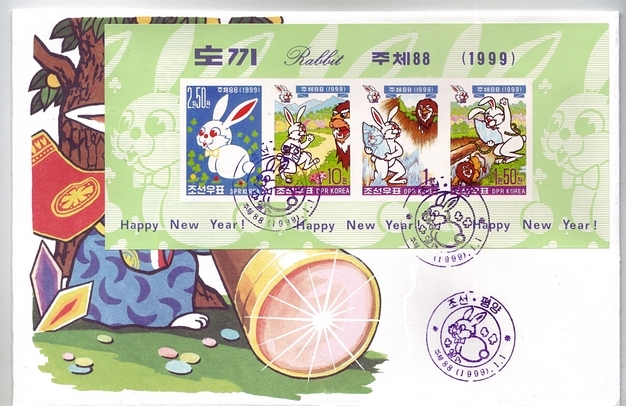 PDR Korea 1999 Year of the Rabbit S/S First Day Cover [NK-3944-F] - $7.75 : LoveCollecting.com, Set your heart on it! 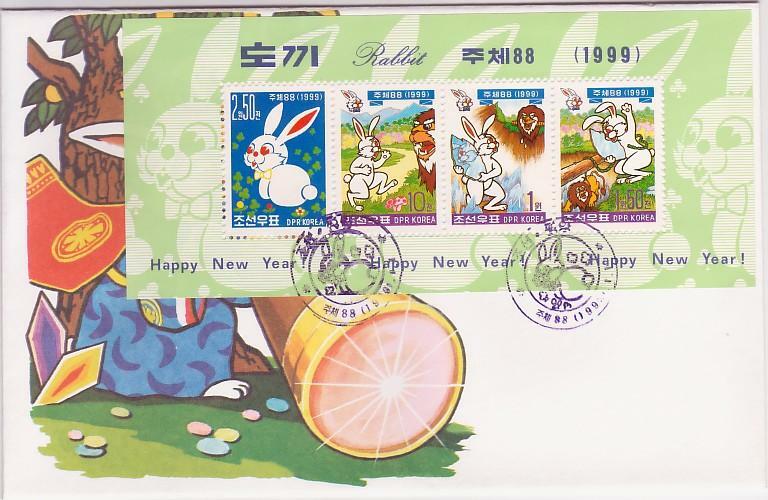 Great Chinese Lunar New Issue issue from PDR Korea issued 1999 saluting Year of the Rabbit depicting the fable of the Hare and the Lion - Souvenir Sheet on First Day Cover. 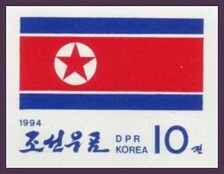 Imperforate edition is also available mint as are Booklets and mint perforate sets and souvenir sheets are also in stock. 10% Off during Chinese Lunar New Year season!